It’s been roughly a year since Google’s Chromebooks (then known as the CR-48) first surfaced. Google’s “nothing but the Web” netbooks have laid fairly low, making a big initial splash and then playing second fiddle to a variety of other Google releases this year (the Google Wallet and Google+ specifically coming to mind). Those who are fans of the Chromebooks loyally defend their user-friendliness and accessibility. But there are plenty of skeptics who remain. So in review of the past year, how far have they come and where are they going? When Google officially announced the Chromebook this summer, we got a peak at the new hardware. The original beta product was little more than a black box with what were then unknown capabilities. But at the Google Chrome event last year, we finally saw the real deal: two sleek netbooks from Acer and Samsung. In addition to showing off the new devices, Google said other manufacturers would follow, giving users more selection and variety. A year later, Acer and Samsung remain the only Chromebook-makers. It’s not exactly encouraging that no other brand names have jumped on board with Chromebooks. Whatever progress they have made, it’s obviously not enough to lure in any new partners. Progress in this area: nil. Winning the corporate world over with enterprise apps has been a struggle for Google. The company’s Rajen Sheth recently spoke at GigaOm’s Network 2011 summit about this experience, saying “some businesses literally threw me out of the meeting five minutes in when they realized I asked them to move their emails outside of their firewall.” But now Google Apps have four million business customers and are looking more and more like a legitimate business solution. And this could translate into a couple of things for Chromebooks. One, Google could look at its experience with Google Apps as a mold of what will happen for its smartbooks. Chromebooks are introducing a new type of operating system, a new payment plan, and are altogether very different from how people are used to owning and using laptops, but like how the corporate world had to grow into Google Apps. Secondly, the success of Chromebooks is very much dependent on Google’s continued development of Google Apps and its Chrome Web Store. The Chromebook might bill itself as a laptop, but it’s really no such thing. Instead, the Internet disguises itself in physical form and users are left without a toolbar, desktop, or software. You’re entirely at the mercy of the Chrome Web Store, which was off to a slow start last year. On the plus side however, it’s gotten a recent makeover and passed 30 million aggregate users. What’s probably the best news for all things Chrome is that it’s swiftly moving up the browser market share ranks. It recently surpassed Firefox for the number two spot. 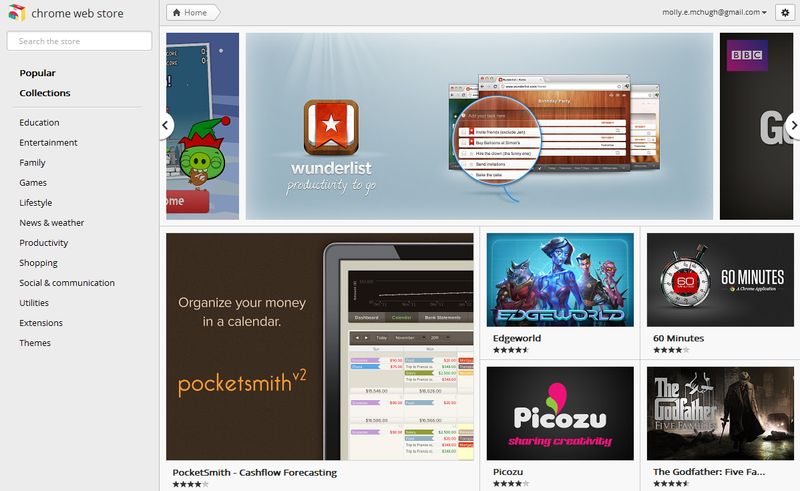 And really, in order for Chromebooks to succeed, the Chrome Store has to succeed. In order for the Chrome Store to succeed, Chrome has to succeed. It’s a vicious cycle and one that makes Google’s Internet products very dependent on each other, for better or worse. Clearly, addressing glitches and keeping with the Chromebook status quo won’t be enough to keep these things going. Google’s going to have to issue bigger improvements. Our guess (or hope, rather), is that the next iteration of the Chromebook will feature more powerful ARM chipsets for overall more efficient use as well as improved battery life. And as far as looks go, Google wouldn’t be mistaken to take the Ultrabook route and design a sleeker, thinner, more professional-looking model. 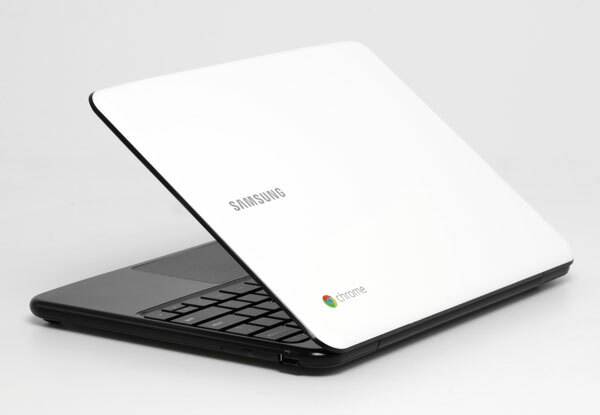 Compared to the aluminum, streamlined notebooks that are taking the consumer market by storm, the plastic-coated, shiny Chromebooks look like toys. The biggest hurdle Google will have to address is fragmentation. Android and its tablet-smartphone division has been something of a sore spot for Google, and add the Chrome OS to this inventory of operating systems and it can easily look like a tangled mess. Because Chrome isn’t your traditional laptop operating system and depends on the Internet, it can find itself looped into the mobile OS bracket. Google needs to find a way to redefine this so that isn’t the case, because Android loyalists will argue Google’s Android tablet/smartphone experience is superior and Chrome OS users might feel like they’re missing out (the Android marketplace easily trumps the Chrome Web Store). The creator of Gmail himself expressed his doubts about this decision. But certainly Google has been ahead of the curve when it comes to cloud computing before, and this might be the case with Chromebooks. Fingers crossed, it is, but we’re still hoping for some key upgrades in the coming year.